You might have seen my recent review of Eleanor Olpihant is Completely Fine by Gail Honeyman. Throughout the year you can expect to read at least one book review a month from me as I’m taking part in the Mumsnet Book Club. 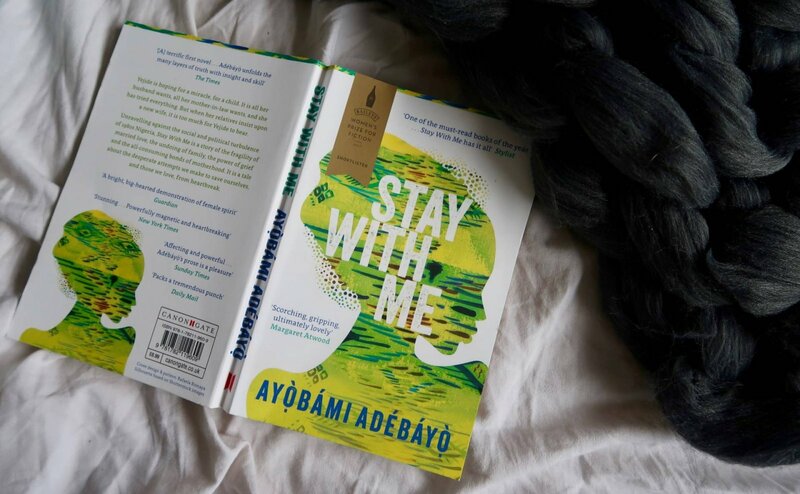 Stay With Me is the book of the month for March, again a debut novel from a female author. So far I’m really enjoying being part of the book club – it’s spurred me on to keep to my goal of reading at least a book a month for the year and i’m finding myself thinking more deeply about each novel, as I know I have this post to write! 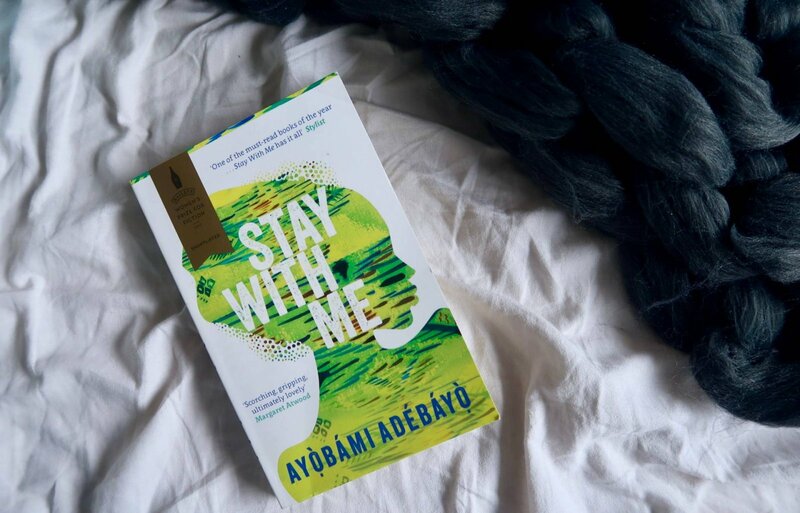 Stay With Me tells the story of a young couple Yejide and Akin who fall in love and navigate the expectations of marriage in 1980s Nigeria. They couple struggle to conceive, a burden which is firmly laid at Yejides’ door. 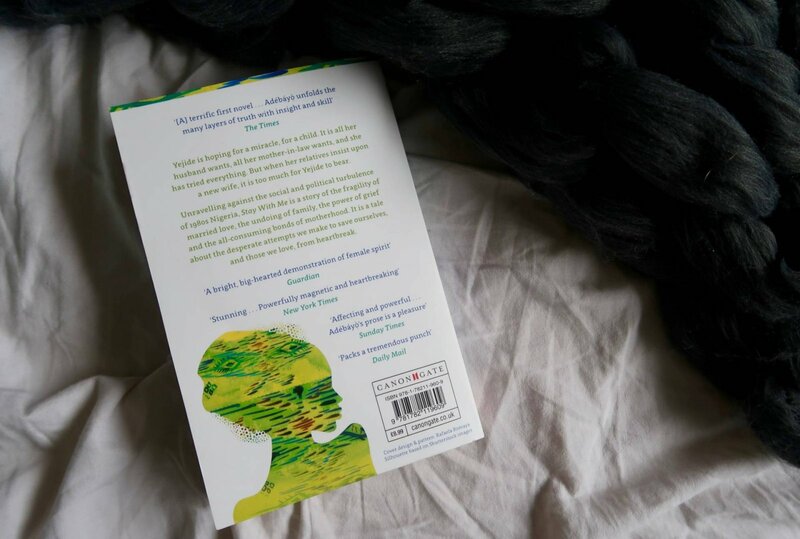 It’s certainly not a book I could easily pick up and set down – not that it didn’t pull me in, just that I found I needed to be mentally prepared to sit down and devour a good few chapters at a time. The setting takes a bit of time to get used to – I still feel myself judging the characters from my own 21st century western standpoint. I found myself getting frustrated on more than one occasion, willing Yejide to pack her bags and leave or for Akin to recognise the toxic masculinity pervading his life. The way author Ayòbámi Adébáyò takes us on the journey of Yejide’s total collapse is fantastic. Once I reminded myself to enter the story fully I was swept along and felt every tiny injustice which chipped away at her identity as a woman, a wife and a mother. I’m cautious that I don’t want to ruin the story here so I don’t feel that I can elaborate much further. One of the most memorable passages is when Akin’s Mother address Yejide and stresses she must accept a second wife into the marriage. I think, on balance, Yejide is actually a very modern woman. She has her own business she started in college, a good education and what her society would consider modern views about polygamy. It’s really desperately sad to see the disintegration of much of her character as loss follows loss and betrayals mount up. I have to say I did find Stay With Me to be an uncomfortable read at times. As I mentioned, it’s set in a time and place that’s very alien to me. The main themes of infertility, loss, polygamy and heartbreak aren’t ones I can immediately relate to. That said – I think anyone in a longterm relationship has, at some point, felt love and loyalty tested by life and misplaced blame or resentment. Have you read Stay With Me? I’d love to hear what you thought of it so do feel free to leave me a comment or join in the discussion in the Mumsnet forum.